As you approach the southwest quadrant of Public Square you will see a bronze statue of a man. This famous figure stands frozen in time, keeping watch over the very town that bears his name. Moses Cleaveland (1754-1806) was born and raised in Connecticut. After studying law at Yale College, he served as a General in the Continental Army during the Revolutionary War. Moses was a shareholder in the Connecticut Land Company which purchased land in the Western Reserve, or New Connecticut. This involvement led Moses Cleaveland on an expedition into the Ohio wilderness. He was responsible for surveying the land as well as negotiating land rights with the Indians living there. The Indians who initially challenged the surveying party's right to be on the land received livestock, whiskey, and various trinkets from Cleaveland in exchange for an assurance of safety. On July 22, 1796, Moses arrived at the mouth of the Cuyahoga River and decided that the land just to the east of it would be the capital of the new territory. His surveyors laid out a town, including a 10-acre Public Square, on the high bluffs overlooking Lake Erie and the winding Cuyahoga. Cleaveland and most of his men returned to Connecticut in October, having laid out towns and plots all across the territory east of the Cuyahoga River. 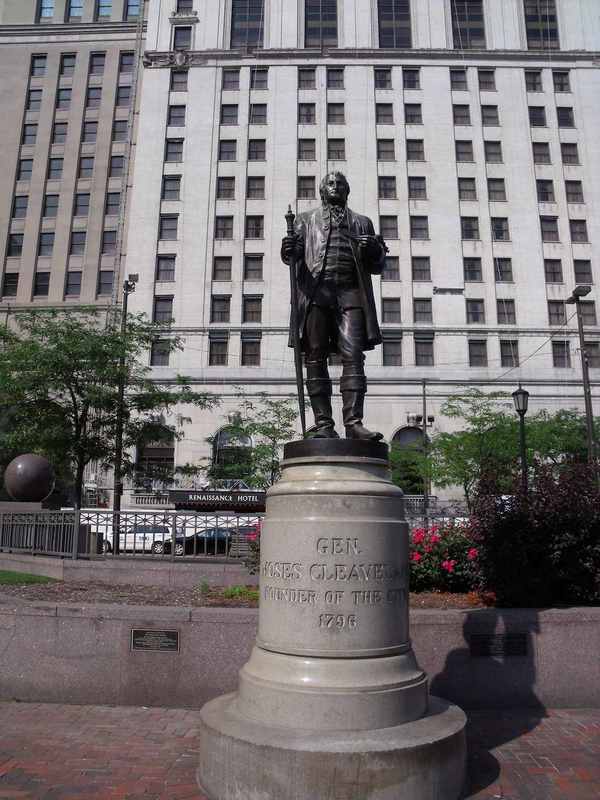 Ninety-two years later, in 1888, the Early Settlers Association of the Western Reserve erected a statue of Cleaveland on the very Public Square that his men had once plotted. Cast in bronze and standing just under 8-feet tall, the statue, which cost over $4000 to build, shows Cleaveland as a surveyor, holding a staff and compass. 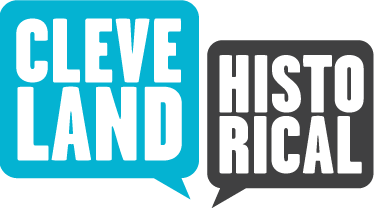 Despite the honored position that Cleaveland holds in the city's history, however, it is spelled Cleveland -- without the extra "a." One legend has it that in 1830 the city's newspaper could not fit the "a" in its headline, so the city became Cleveland. "While I was in New Connecticut I laid out a town on the bank of Lake Erie, which was called by my name, and I believe the child is now born that may live to see that place as large as Old Windham." Though it took a bit of time for Cleveland to grow and develop into a viable city after his departure in 1796, Cleaveland's prophesy has truly come to fruition! Moses Cleaveland Statue: In 1888, James C. Hamilton sculpted a statue in honor of the city's founding father Moses Cleaveland. The original statue was rejected by Cleveland City Council as being too tall, so a piece was removed from the midsection and the halves were rejoined. The statue stands just under 8 feet tall. Moses Cleaveland holds surveying tools in each of his hands - a compass in his left and a Jacob's staff in his right. Settler's Landing: Stand at Settler's Landing today and you will find an RTA rapid station and a view of Cleveland's Flats District. In 1796, however, this was the landing site of Moses Cleaveland and his surveying team from the Connecticut Land Company. 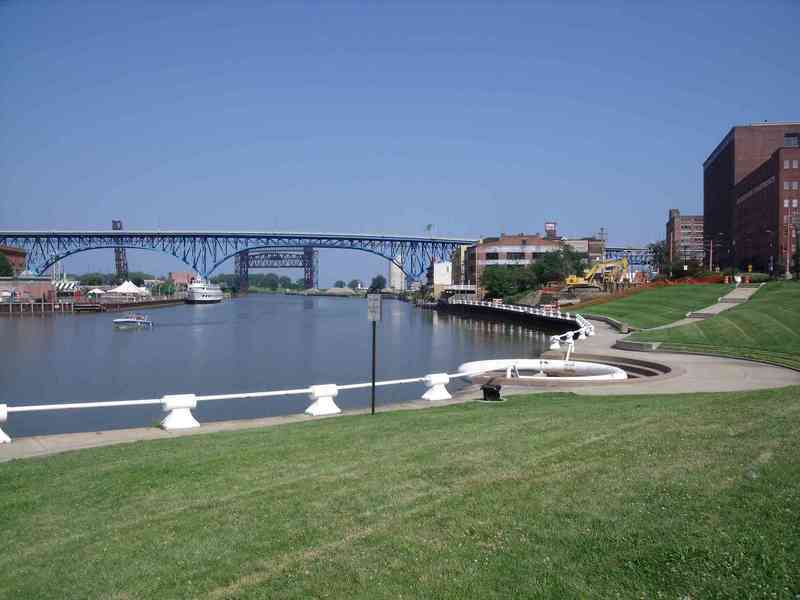 The Cuyahoga River, Iroquois for "crooked river," provided a safe harbor for ships traveling on Lake Erie, making this an attractive place to build a city. 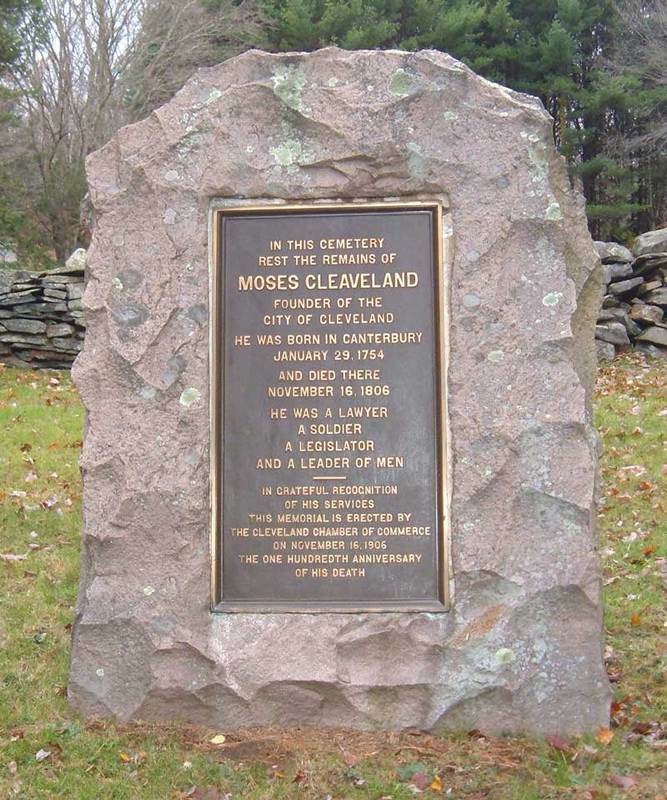 Cleaveland Memorial: After his surveying work was completed, Moses Cleaveland returned to Connecticut to practice law. He died there on November 18, 1806. He never returned to the city that bears his name. The Cleveland Chamber of Commerce erected this memorial near Cleaveland's grave site in Canterbury, Connecticut on the 100th anniversary of his death. Pease Map, 1796: Seth Pease joined Moses Cleaveland's journey to the Western Reserve in 1796. He was hired to survey and produce maps of the new frontier. 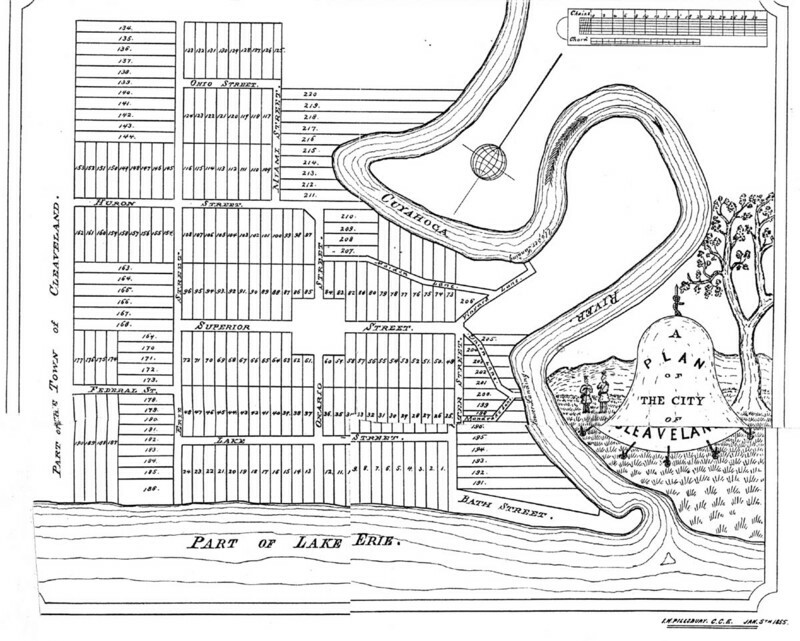 This map is considered the second map of Cleveland to distinguish it from a map produced by Amos Spafford during the same year. Notice that the map is oriented with North at the bottom of the map. Which aspects of this 1796 map of Cleveland can still be seen in the city today? Sherrill Paul Witt, President of Lolly the Trolley, describes the formation of Connecticut's Western Reserve and explains how Moses Cleaveland became involved in surveying it. Sherrill Paul Witt, President of Lolly the Trolley, recounts some of the legends surrounding the statue of Moses Cleaveland in Public Square. "They Chased the Animals Off..."
Sherrill Paul Witt, President of Lolly the Trolley, describes the influence of Moses Cleaveland's surveying party on how the city looks today and talks about one of the early uses of Public Square. 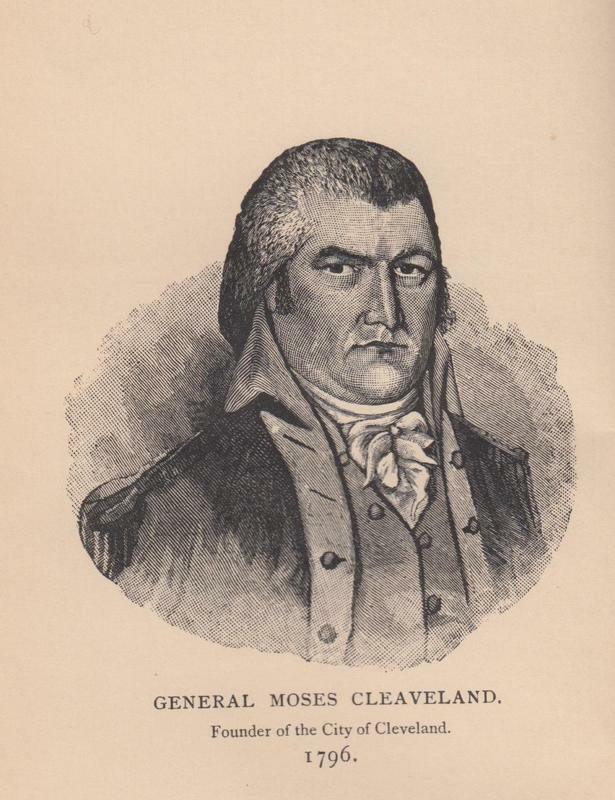 “Moses Cleaveland,” Cleveland Historical, accessed April 23, 2019, https://clevelandhistorical.org/items/show/280. Published on Jul 22, 2011. Last updated on Apr 18, 2017.